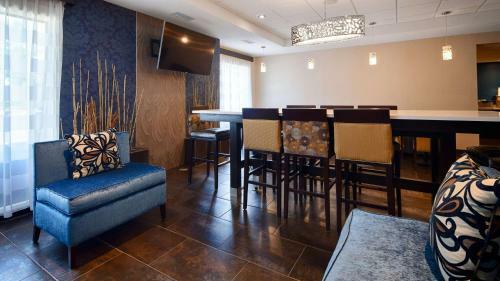 Rooms from $88.40 per night. Description This Fairburn, Georgia hotel has an indoor pool, free internet access and non-smoking guest rooms. 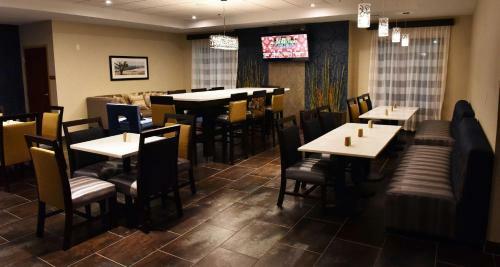 An indoor pool and hot tub plus free hot breakfast and Wi-Fi are top amenities at the non-smoking Best Western Plus Fairburn-Atlanta Southwest. 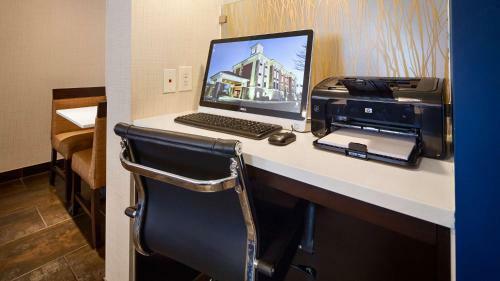 The 74 rooms at the four-story Best Western Plus Fairburn-Atlanta Southwest offer free Wi-Fi flat-panel TVs microwaves mini-fridges and coffeemakers; jetted tubs are also available. 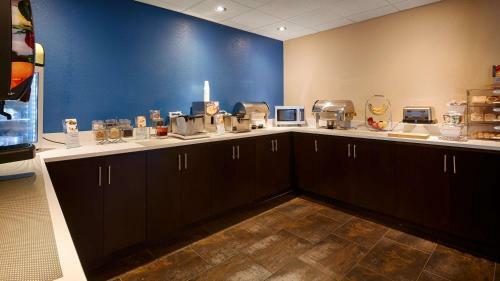 Free hotel perks include newspapers and daily breakfast. 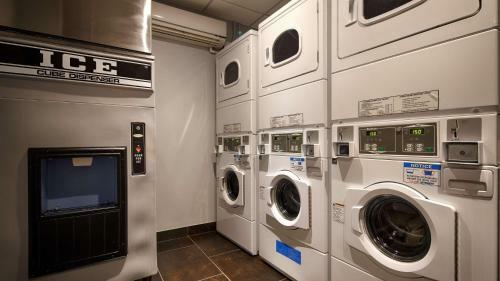 Guests can go for a swim year-round in the heated indoor pool and hot tub and take advantage of the 'round-the-clock fitness business and laundry facilities. There's also a sundry shop and free parking. 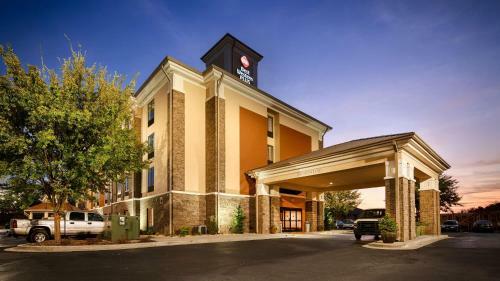 Off I-85 this Best Western lies two miles south of downtown Fairburn and is within 40 of Marietta. Downtown Atlanta the Georgia Aquarium Turner Field and CNN Center are less than 25 miles away. Walk to restaurants in less than five minutes and make business meetings at Nestle/Purina and US Foods CSX within two miles. 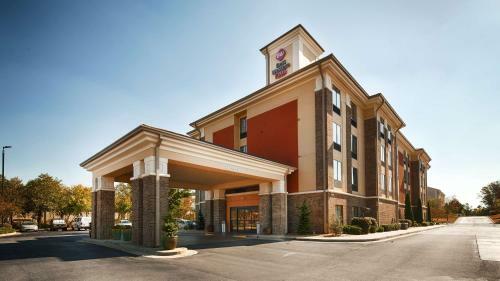 Six Flags Over Georgia is a half-hour away while Hartsfield-Jackson Atlanta International Airport is 14 miles from the property. 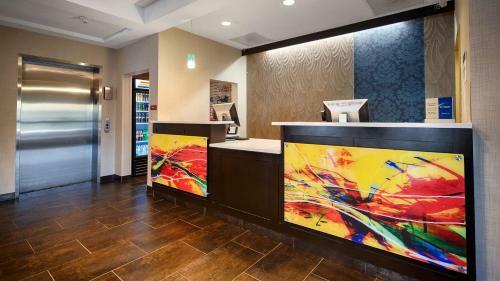 Add Best Western Plus Fairburn-atlanta Southwest to your free online travel itinerary.